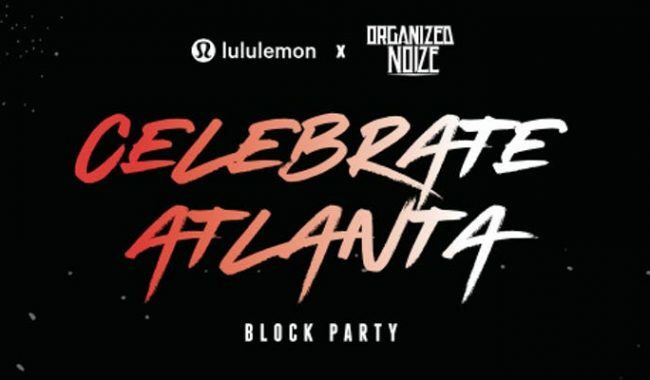 By sharing the commonality between hip hop and mindfulness, lululemon and Organized Noize are bolstering their bond through the creation of the Celebrate Atlanta Block Party; a monthly celebration that marries the concepts of hip hop, mindfulness, and city-love. 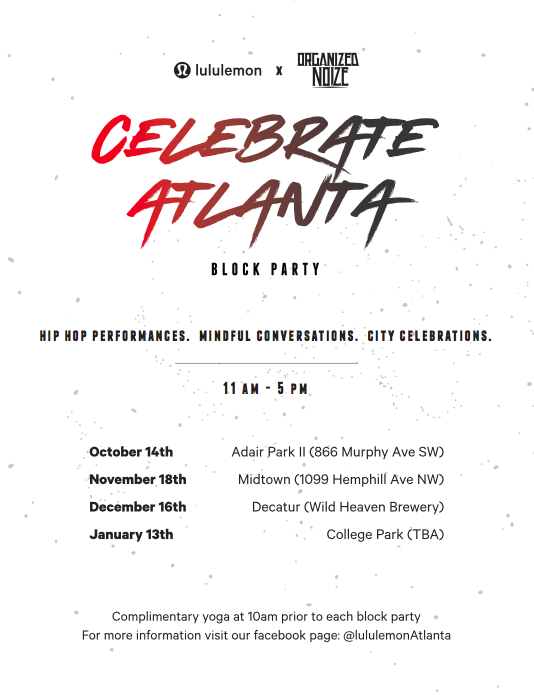 Starting October 14th and ending in January, the four block parties are FREE with an RSVP. Complimentary yoga will happen at 10am prior to each block party – mats will not be provided. Performances from Organized Noize as well as local artists will happen throughout the day. Celebrate Atlanta branded lululemon product will be available for purchase. Local food and drink will be available for purchase at each block party. Tickets for future block parties will be available for RSVP after the conclusion of the previous block party. Subscribe to @lululemonAtlanta on Facebook for updates.